As one final bonus in our massive giveaway blowout extravaganza to celebrate the site redesign, we’ve got one last big giveaway from XSEED Games. They’ve provided us with a Fate/EXTELLA Link Fleeting Glory Physical Limited Edition to give away to one lucky reader. Check out the full details on the prize below. Housed in a custom box. Our own Lucas White just reviewed Fate/EXTELLA Link and loved it, so whether you’re a fan or a new player, this is something you won’t want to miss. This giveaway will run through Friday, March 22. After that we’ll be drawing winners and reaching out to them early the following week. Please keep in mind that shipping is restricted to the continental United States only. Any winner selected that doe not have a valid shipping address within the continental US will be disqualified and another winner will be chosen. We’re making entry pretty simple. We just want to hear from you about the content that you love on PSLS. Do you like our features and columns? Do you want to read more of those? Are you here for the new coverage? Or maybe you’re just in it for the giveaways? If that’s true, that’s okay, we’d still love to hear what would keep you reading PlayStation LifeStyle beyond the giveaway entry. Use the entry app below to make sure that we have your email address to contact you, and then comment below to let us know how we can better tailor our content offering. We’ll have another great giveaway coming up at the end of the week for even more physical limited editions of another game that you won’t want to miss, so stay tuned for that on Friday. 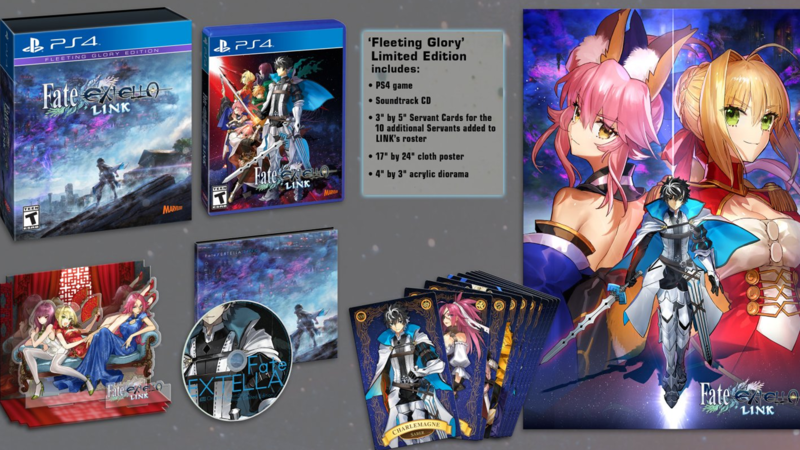 Good luck in our Fate/EXTELLA Link Fleeting Glory Physical Limited Edition giveaway.